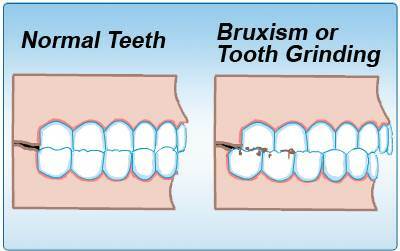 Teeth grinding (also called bruxism) is a dental abnormality that causes discomfort and is accompanied by grinding. This usually occurs at night when the person is sleeping. This is the most common sleep disorder. Such a process can be characterized by rubbing the teeth of the upper and lower jaws against each other. Usually, the teeth are closed only when chewing, talking, and swallowing. The night grinding of teeth is an involuntary phenomenon. Because of this, the patient might not even know that they grind their teeth until other signs occur. The main signs of the disease are tight compression of the jaws, friction or closing of teeth. 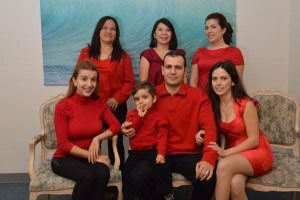 In order to avoid negative consequences, it is very important to contact the Burbank dentist Dr. Sahakyan as early as possible. Please call 1-818-578-2332 or contact our dental office today. Bruxism can arise from a number of different causes. There is an opinion that bruxism can be caused by stress or increased anxiety, it is more common during sleep. It is also believed that bruxism is more likely to be caused by a pathological occlusion, missing or crooked teeth. It can also occur in a sleep disorder, such as a nocturnal sleep apnea syndrome. destruction of the tooth crown. When Do You Grind Your Teeth? In the daytime, this is most often manifested in the form of the strong closing of teeth, which a person can still control. Overdoing stress during the day causes teeth to grind at night. Almost 80 percent of the episodes of grinding teeth happen at night. They are repeated during certain phases of sleep. Tooth grinding takes place because of the muscle contractions caused by mechanisms associated with the central nervous system. The movements of the jaws are involuntary and chaotic. In addition to grinding teeth, restless people at night also are distressed by a conversation in a dream, snoring, apnea. Is the Grinding of Teeth for Children? Of course. There are children whose baby teeth are already worn out. Gnashing of teeth can sharpen during adolescence. Most often it worries people aged 25-44 years. Burbank dentist can choose a special protection for your teeth during sleep. If stress causes this symptom, consult your dentist and the doctor about the possibilities to reduce your stress. You may be offered to be counseled by a psychologist, a special exercise program, or taking medication if you have a sleep disorder. The most characteristic signs showing that there is indeed a gnashing of teeth are the erased teeth and hypertonicity of the masticatory muscles. However, there are other causes of tooth erosion, such as the harmful effects of chemicals, increased acidity of the stomach, certain foods, so it can only be diagnosed by the dentists at My Dentist Burbank. The most common method of clinical diagnosis of the disease is electromyography (EMG). Electromyography (EMG) is the registration of electrical activity of the muscles of the mouth with the help of special sensors. It is impossible to eliminate this pathology independently, without the help of the Burbank dentist, Dr. Sahakyan. Any self-treatment attempts will not yield results. In order to avoid negative consequences, it is very important to contact the dentist as early as possible. When performing complex diagnostics and timely treatment, the prognosis for this disease is favorable. A competent approach of specialists will eliminate all the negative consequences of grinding teeth. There is no specific drug treatment. Usually grinding of teeth occurs in a dream. So it is difficult to control. During the day, you are conscious, so you must try to control yourself. In occasion of a night grinding of teeth, we advise you to see a dentist. Burbank dentist Dr. Sahakyan will establish the reasons and begin treatment. Our dentist can offer you a protection from grinding teeth – a special mouthguard. The special mouthguard is worn at night on one of the teeth of the jaw. Mouthguard protects the teeth from further erasure, relaxes the muscles, protects the joint. But if you grind your teeth for a long time, and your teeth have suffered because of this, then prosthetics of teeth is necessary. to preserve the natural beauty of teeth in the presence of pathology. Train yourself against excessive compression and grinding of the teeth. If you notice such things throughout the day, place the tongue between your teeth, this helps to relax the muscles of the jaw. 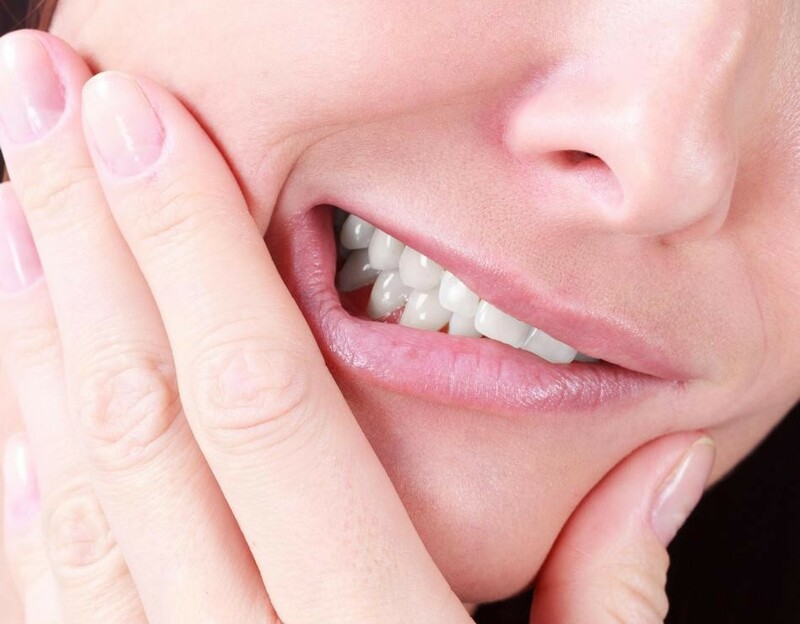 Bruxism, or grinding of teeth, is not just an annoying habit, but an indicator of the presence of health problems. In time turning for help to a dentist, it is possible not only to save the beauty of a smile but also to improve overall well-being. If you have any questions about teeth grinding, please call 1-818-578-2332 or contact our dental office today.